Everedy Square & Shab Row is Downtown Frederick’s largest cluster of specialty shops, eateries and services housed in beautifully restored 19th Century buildings in historic Downtown Frederick, Maryland. Restored and preserved, the Everedy Square & Shab Row district offers relaxing shopping experiences in historic buildings spread over three blocks on East Street. The dwellings which comprise shops on Shab Row formerly housed tinkers, wheelwrights and other artisans who serviced the first stagecoaches traveling west on The National Pike (now known as US Route 40). 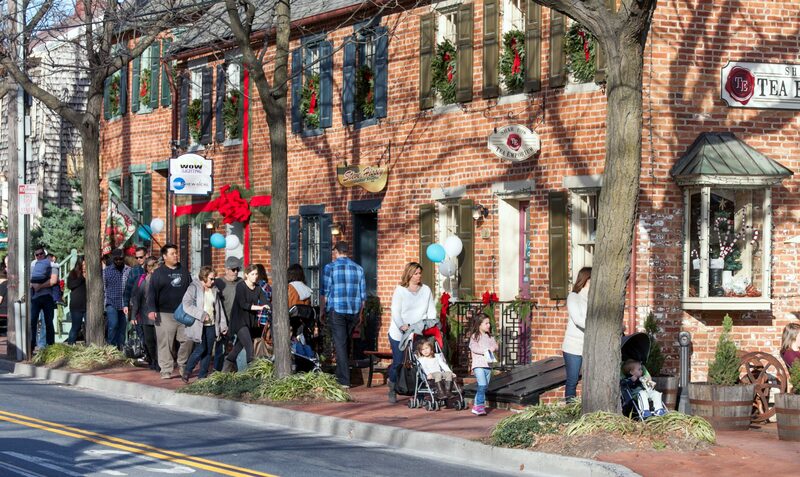 The area was purchased and restored by Frederick businessman, Bert Anderson, in the 1970s and 1980s to produce the vital shopping and business district that it is today. Many businesses here accept the Downtown Frederick Gift Card!